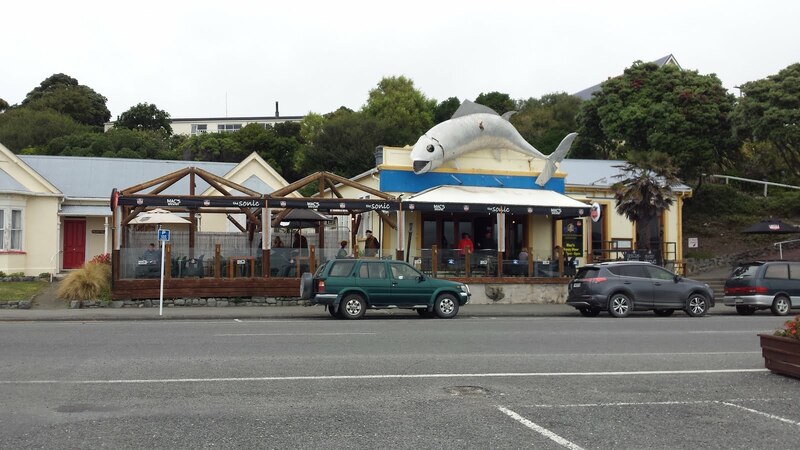 kaikoura – Bunk Beds! Sad earthquake pictures. 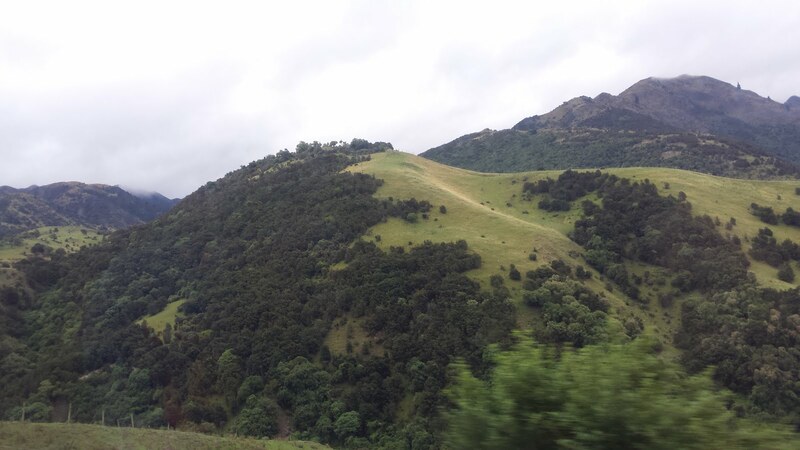 Kaikoura is a beautiful town, but I arrived on a rainy day, and the rain didn’t stop until I left the next day. However, I still enjoyed my stay. This is going to be my first night sleeping in a dorm style room. This means sharing a room, possibly even a bunk bed with other people. If you know me, this is not my thing and a long ways out of my comfort zone. When I entered the room, I saw 3 beds and one bunk bed. Yupp! I got the bottom bunk. Thank God! There is no way I would climb those stairs at night or in the morning to get out of bed. There was only one person in the room at the moment, a young German guy. I would class this guy as a hippy. I tried striking up a conversation with him, but it didn’t go anywhere as his English was horrible. No big deal. A few minutes later a really cute young girl walked into room, about the same time the German guy left. Another chance at meeting a new person and she is fun to look at. So, I say hi and asked her how long she has been in Kaikoura. I quickly pick up her funny, but familiar accent. She is Canadian, from Ontario, but living in Banff. I don’t remember her name though. I will just reference her as ‘Little Red’. Over the next 18 hours we have some really awesome conversations, ranging from Canada, to living the good life, traveling. She is really nice and also reassures me that sleeping in a dorm is cool. Most people are considerate and try not to annoy others. After chatting with Little Red, I go for a walk in the rain enjoying the small friendly town. I can’t see much, as there is a lot of fog. 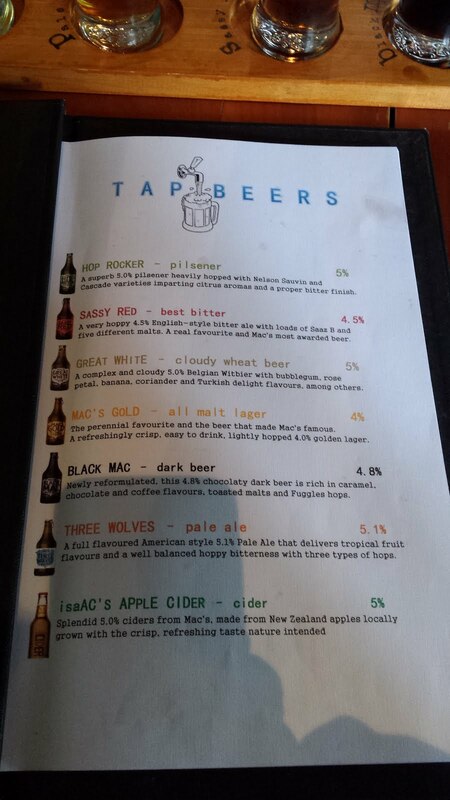 I do see one thing, Mac’s Brewery. Oh Yes! I want some tasters. 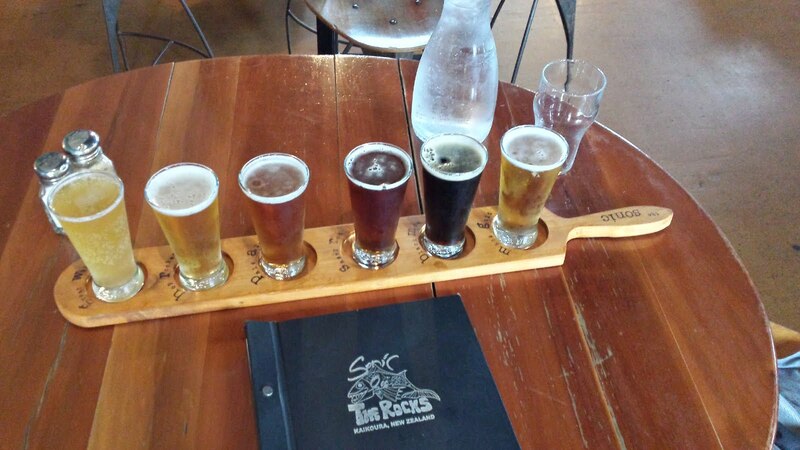 The tasty beers go down great, but I restrain myself from having more and head back to the hostel. When I get to my room, Little Red is not there, so I just brush my teeth and jump into my bottom bunk. Currently in the room there is the Hippy German, and 2 Chinese. A guy and girl. With some help of my beer, I quickly fall asleep. Now that I have my first night in a bunk bed checked off, I don’t know why I was avoiding it. It is 1/3 the price and not that bad. My bus isn’t until 4 pm, so I decided to just hang out at the hostel, since it is raining. While waiting, I started talking with an older couple from the UK. I don’ recall their names either, but they are pretty nice. The guy tells me all about his favorite hostel not far from my next stop. I take some notes in case I get a chance to go there. They also mentioned they have a daughter, so I mention I am single. They then reminded me they already told me she is married. I then politely ask if she has a daughter. Nope! Was worth the try. It starts to let up, and I am getting hungry. 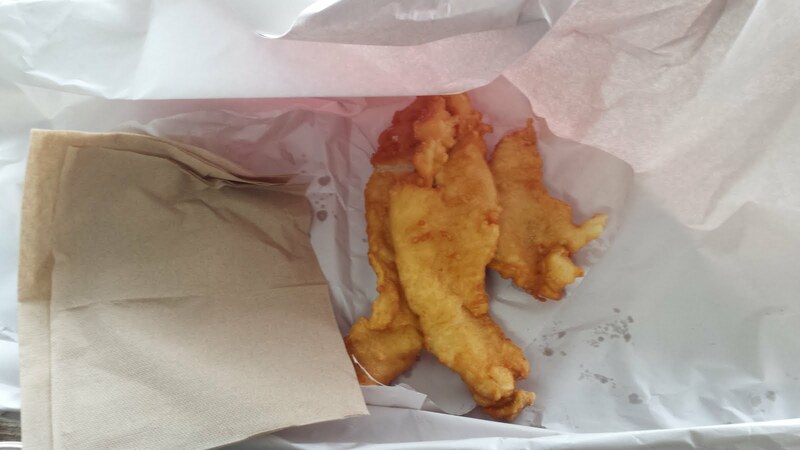 They tell me about a very good fish and chip shop, with freshly caught fish. Mmmmm! I am in and head down the hill. They were totally correct, the fish is awesome. For only 7 dollars, I got 4 rather large peaces of Blue Code. I eat, smile and head back to the hostel. Just before 4 pm, I see Little Red, and say goodbye. I also see the UK couple and say goodbye as well. The bus to Christchurch went by fast. It was only 2 hours or so. 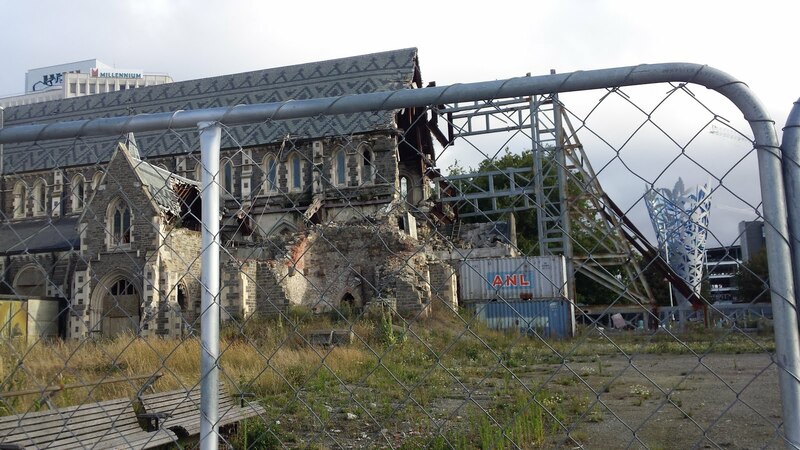 Back 4 or 5 years ago, Christchurch had two large earthquakes, and the damage is still evident. I saw some major cracks in the streets that were caused from the second one. A lot of historical buildings are still being restored. 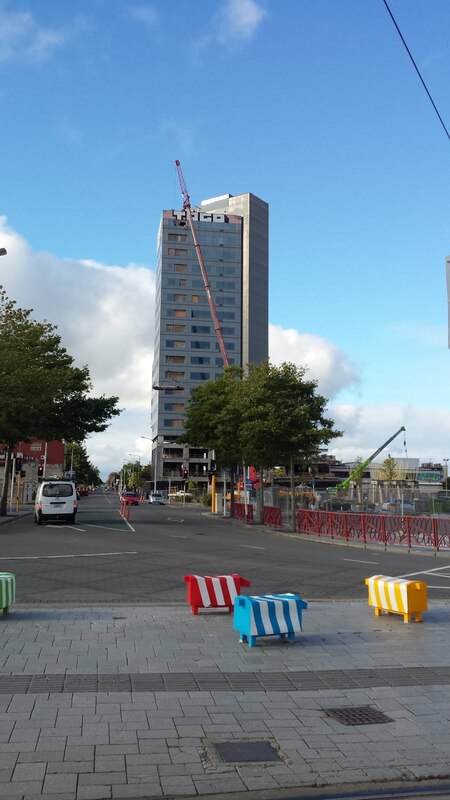 Below is a picture of one from my walk to the next hostel and a new building, being constructed out of containers. The hostel here was really different. It is a loft, with a kitchen and living room on the second floor, and the third floor is a bathroom with two rooms. My room has 3 beds in it. Very tight. This room is smaller than my last bedroom back home. Anyways, my night here was good as well. I am getting more comfortable with sleeping near other people. While watching some Kiwi cop show, an older Kiwi couple told me all about the earthquakes and how some of the people died. Some really sad stories. One I will never forget is about the CTV News station that collapse killing 16 people. He actually had details on how it fell. His stories were really good reminders to love life, and to do what makes you happy. I needed this reminder. I was starting to go places just to see them, and not because I wanted too. You’ll see soon, my plans change. Just before bed, a young German girl, Sophia was in her bed about to sleep and her and I started chatting. We ended up talking for almost an hour about Canada. She wanted to know everything. From the animals, to the distance between towns, the landscape. She told me over and over, she wants to come to Canada so badly, but didn’t get the visa and will try again next year. Our conversation stopped when a young German guy, Rob, came into the room and Sophia told him his shoes stink. It was actually mine and his. lol.. The 3 of us talk for another 30 minutes and then we decided to shut off the lights and go to sleep. The next morning I was leaving early and only had a chance to say goodbye to Rob. I wish I could have said goodbye to Sophia. She was such a good person to chat with. 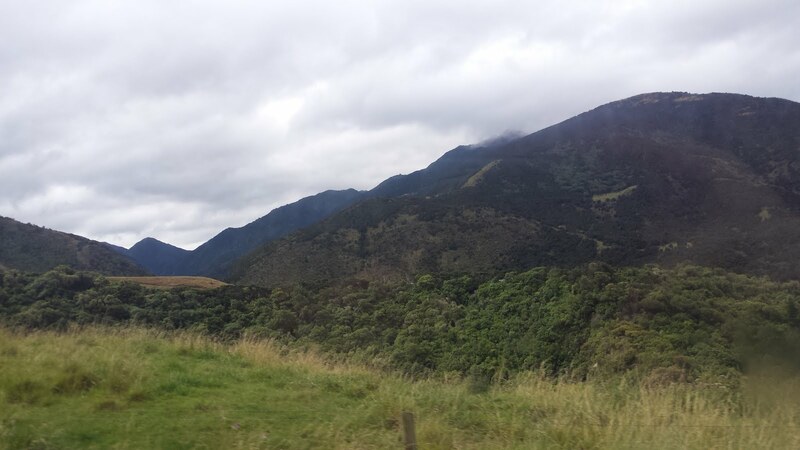 My next adventure is relocating a car from Christchurch to Greymouth. 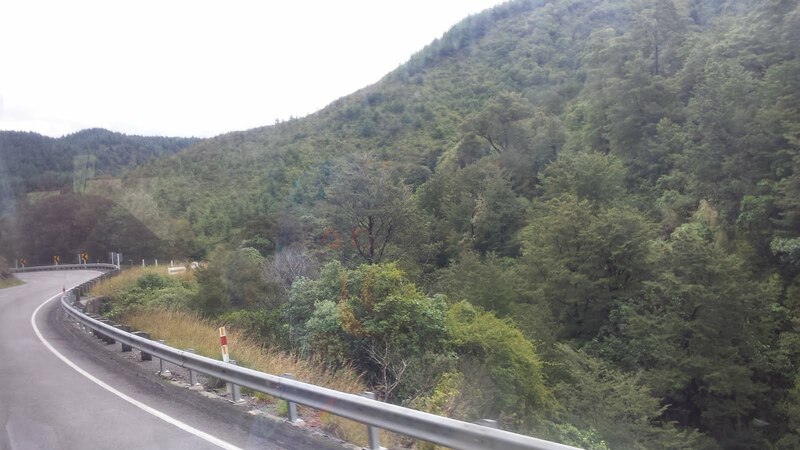 Next Next post: Christchurch – Greymouth – Who drives on the left?